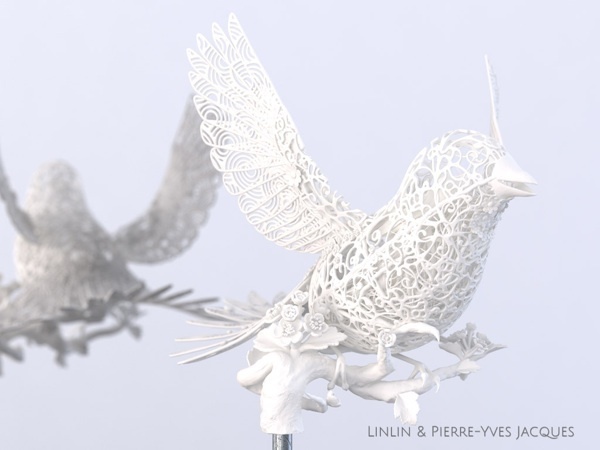 Linlin & Pierre-Yves Jacques @ London 3D Printshow 2013 #3DThursday #3DPrinting « Adafruit Industries – Makers, hackers, artists, designers and engineers! Linlin and Pierre-Yves are young artists who met several years ago during their artistic studies, native to China and France. 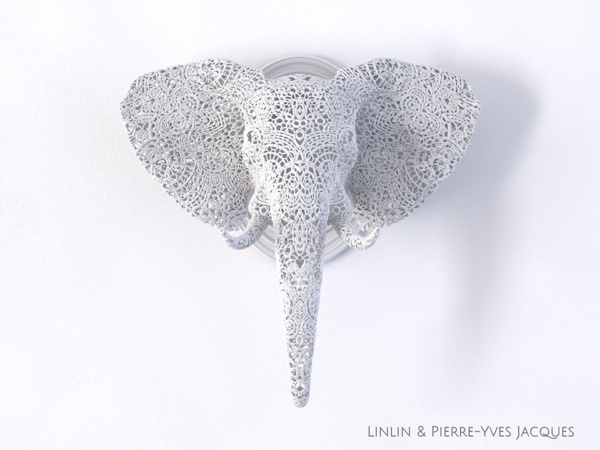 Linlin holds a Masters degree in Digital Creation and Pierre-Yves holds a degree in Visual 3D Production. Today, with shared inspiration, they sculpt their ideas. With 3D printing, their sculptures take on a new dimension. Linlin and Pierre-Yves’ yearning to mix their cultures and desires gives birth to unexpected works that are full of meaning. Their work focuses on nature, knowledge, and human feelings. They most certainly want to share with and capture their viewers, and incite introspection. Winners of the Accessory Challenge in cooperation with Melinda Looi, they presented their first work of art entitled Bird Travel at the first Asian 3D design fashion show organized by Materialise Malaysia on June 14, 2013. Linlin and Pierre-Yves are currently working in paralell towards the creation of a jewelry line. Since 2009, they have worked with 3D modeling and the corresponding preparation of 3D printing for various international artists. They live close to Paris,France – close to nature, but not far from the culture of the big city.